Watch full One Piece Season 15 Episode 49 English Dubbed full HD online. One Piece Episode 565 English Dubbed online for free in HD. Luffy’s All-Out Attack! Red Hawk Blasts! As the fighting continues, Brook and Zeo continue their fight with Zeo landing an attack on Brook and decapcitating him. Celebrating his victory, Brook showcases a new ability being able to reattach his head so long his bones are not damaged. Brook further demonstrates his new sword, Soul Solid, being able to call forth the cold from the underworld. Usopp and Daruma continue as well with Usopp planting traps and promising to snipe him within three shots. Hordy continues to chase Shirahoshi and Luffy but a Gear Second Jet Bazooka is unable to defeat Hordy, the fishman laughs that everything he holds dear will be destroyed. 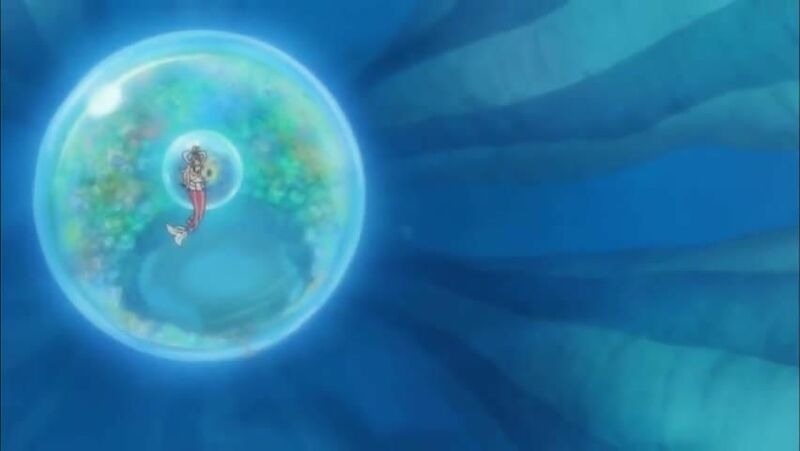 Undeterred, Luffy prepares to attack Hordy, he enters Gear Second and imbues Busoshoku Haki into his arm, setting it on fire despite being underwater, and uses his Gum Gum Red Hawk technique, on Hordy with enough force to send the flames though his chest and blasting out of his back. The New Fishman Pirates are terrified to hear their captain was defeated but the officers force the others to stay and die for hatred. The rest of the Straw Hats continue fighting, meanwhile Luffy and Hordy are on Noah and Luffy sees Hordy overdosing on the Energy Steroids even more.